of the Deceased at the Destination. 2.1 These Conditions, the Funeral Particulars and the Passport together form the agreement between you and us. 2.2 We intend relying on both these Conditions and the Funeral Particulars and the Passport and so if there is anything you do not understand or do not agree with please discuss this with us before you sign and commit yourself. 2.3 Our employees or authorised agents are not permitted to make any representations unless these are confirmed in writing. If we agree changes please ask us to confirm them in writing. We can then avoid problems over what has been agree between us. 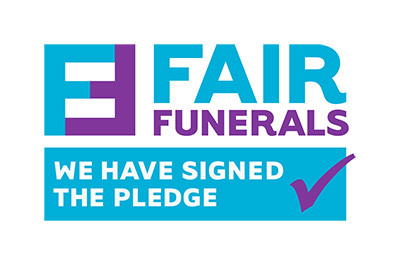 2.4 A binding Agreement will exist between you and us after you have signed at the bottom of the Funeral Particulars. 2.5 Nothing in these conditions, the Funeral Particulars or the Passport affect your statutory rights. 3.1 You have the right to cancel the Agreement if you so wish. This right can be exercised by sending or taking a cancellation notice to our postal or email address set out in the Funeral Particulars at any time within the period of 14 days starting from the date you sign. Notice of cancellation will be deemed as having been given as soon as it is posted or sent in to us or, in the case of electronic mail, from the day it is sent. 3.2 You should understand that, should you choose to cancel the Agreement having already given your written authority to commence provision of the Services, you will be charged for Services provided and/or Disbursements already incurred. 3.3 You may use the cancellation form provided if you wish, but you are not obliged to. 3.4 We may cancel the Agreement in writing at any time before we begin providing the Services if the required personnel and/or required materials necessary for the provision of the Service are not available, or if an event outside of our control continues for more than 14 days (See Condition 8 for events outside of our control). 4.1 You may change any matter set out within the Funeral Particulars by notice in writing no less than 7 days before the Funeral Date. 4.2 Subject to Condition 4.1 we may agree changes at any time but we can agree or refuse to do this at our discretion. 4.3 If we agree changes you must ask is to confirm these in writing with you and our agreement to such changes is only binding on us when we confirm them in writing. 4.4 If any provision of the Agreement is changed, we will inform you in writing of any change to the Charges of the Particulars. 4.5 Any dates and times referred to by us shall not be deemed confirmed until they are agreed by us in writing. Although we endeavour to provide a prompt and efficient service for you, there may be instances where, because of circumstances beyond our control, we are unable to fulfil our obligations to you on the date or time specified. Where this the case we will attempt to contact you in advance, using the details provided and advise you of alternative arrangements. 5.1 Our charges are payable by you without any right of set off within 60 (sixty) days after receipt of our invoice. 5.2 Our Disbursements are payable in full in advance of booking the funeral. If you choose to cancel in accordance with Condition 3 we will reimburse any unspent disbursements. 5.3 Unless you request us to raise an invoice ahead of the Funeral Date, we will issue our invoice no earlier than the Funeral Date which means that in certain circumstances we will have incurred expenditure considerably earlier than the date on which we raised our invoice. We give you 60 days to pay although if you fail to pay within that 60 day period we will charge a sum of £200 by way of liquidation damages for failure to make payment within the time limit specified within these Conditions. This is our only remedy for late payment and you acknowledge that payment of this sum is fair and reasonable and does not constitute a penalty. 5.4 If you propose paying the Charges via a Funeral Plan you must understand, even though the Funeral Plan may provide for payment of our Charges and Disbursements, if and insofar as sums payable under the Funeral Plan are insufficient to cover our Charges and Disbursements, you will remain responsible for payment. 6.1 All Services will be provided by us in accordance with all relevant laws, rules and regulations and will not undertake any Services that in conflict with any law in force, any voluntary or mandatory code of practice, or any similar rules, regulations or codes. 6.2 We will make every reasonable effort to complete the Services on time and in accordance with the dates specified in the Funeral Particulars. We cannot, however, be held responsible for any delays if an event outside of our control occurs. Please see Condition 9 for events outside of our control. 6.3 If we require any information from you in order to provide the Services we will inform you of this as soon as is reasonably possible. 6.4 If the information you provide under Condition 6.3 is delayed, incomplete or otherwise incorrect, we will not be held responsible for any delay caused as a result. If additional work if required from us to correct or compensate for a mistake made as a result of incomplete or otherwise incorrect information that you have provided we may charge you a reasonable additional sum for that work. 7.1 We always use reasonable efforts to ensure that the Services are provided trouble-free but if there is a problem with the Services, we request that you inform us as soon as is reasonably possible. 7.3 We will not charge you for remedying problems under this Condition 7 where the problems have been caused by us, our agents or employees or sub-contractors. If we determine that a problem has been caused by incorrect or incomplete information provided by you under Condition 6.3 we may charge you for any delays as a result. 7.4 As a consumer, you have certain legal rights with respect to the purchase of Services. We, for example, required to provide the Services with reasonable care and skill. You also have remedies if we use materials that are faulty or incorrectly described. More information on your rights as a consumer can be obtained from your local Citizens Advice Bureau or from the Office of Fair Trading. We will not be liable for any failure or delay in performing our obligations where that failure or delay results from any cause that is beyond our reasonable control. Such clauses included, but are not limited to: failure of any sub-contractor, power-failure, internet service provider failure, industrial actions, civil unrest, fire, explosion, flood, storms, earthquakes, subsidence, acts of terrorism, acts of war, governmental action, epidemic or other natural disaster, difficulties in obtaining labour, fuel, motor vehicle breakdown, roadworks or any other event that is beyond our control. 9.1 All personal information that we may collect (including, but not limited to, your name and address) will be collected , used and held in accordance with all Data Protection Laws. 9.2. We may use your personal information to provide our Services to you, process your payment for the Services or inform you of new products and services available from us. you may request that we stop sending you this information at any time. 9.3 Save where we are required to do so to perform the Services (for example giving your details to the local authority) we will not pass on your personal information to any other third parties without first obtaining your express permission. 10.1.2 the other party enters into liquidation, goes bankrupt or has an administrator or receiver appointed over their assets. 10.2.2 all conditions which, either expressly or by their nature, relate to the period after the expiry or termination of the Agreement shall remain in full force and effect. 10.2.4 subject as provided in this Condition 10 and except in respect of any accrued rights neither party shall be under further obligation to the other. 11.1 The Deceased together with any jewellery or personal effects forming part of the Deceased’s estate will be carried by us at your risk, subject to Condition 11.6. 11.2 Subject to the limits on its liability in Conditions 11.3, 11.4 and 11.5 we will only be liable to you where any loss you suffer is caused by our negligence or wilful misconduct in the delivery of the Deceased to the Destination. 11.3 We will not be liable to you or be deemed to be in breach of the Agreement for any reason if the breach was due to any cause beyond our reasonable control (see Condition 8). 11.4 We will in no circumstances be liable to you for any loss, claim or liability of whatever nature caused by the acts or omission of any third party. 11.5 Our maximum aggregate liability to you, for any sentimental or direct loss arising out of one or a series of linked events or omissions; and more specifically the loss theft or destruction of any of the jewellery or personal effects forming part of the Deceased’s estate shall be limited to the Charges. 11.6 Subject as expressly provided in the Agreement and except in respect of any liability which by law may not be restricted or limited warranties, ,conditions, representations or other terms implied by statute or common law are excluded to the fullest extent permitted by law. 12.1 We may transfer (assign) our obligations and rights under the Agreement to a third party (for example, if we sell our business). If this occurs you will be informed by us in writing. Your rights under the Agreement will not be affected. 12.2 You may not transfer (assign) your obligations and rights under the Agreement without our express written permission. 12.3 Any person who is not a party to the Agreement will not be entitled to enforce any provision of it. 12.4 No failure or delay by us in exercising any of our rights under the Agreement means we have waived that right, and no waiver by is of a breach of any provision of the Agreement means that we will waive any subsequent breach of the same or any other provision. 13.1 You warrant the accuracy of all descriptions, addresses and other particulars given to us and you undertake to indemnify us against all losses, damages and expenses arising from any inaccuracy or omission even if such inaccuracy or omission is not due to any negligence on your part. 13.2 You undertake to indemnify us against the claims of any third party which may arise out of the loss, damage or distribution of any of the jewellery or personal effects forming part of the Deceased’s estate. 14.1 You undertake to arrange for the collection of the ashes of the Deceased within 60 days following any cremation of the Deceased. 14.2 In the event that the ashes have not been collected within the time referred to in Condition 14.1 then you authorise us to dispose of the ashes without any further notice to you. 14.3 You undertake to indemnify us against the claims of any third party which may arise out of the disposal of the ashes as contemplated in Condition 14.2. 15.1 The Contract shall be governed by the laws of England in every particular including formation and interpretation and shall be deemed to have been made in England. 15.2 Any proceedings arising out of or in connection with this agreement may be brought in any court of competent jurisdiction. 15.3 The submission of the parties to such jurisdiction shall not limit the right of Green Willow Funerals Limited to commence any proceedings arising out of the contract in any other jurisdiction it may consider appropriate. Notwithstanding that any provision contained in these conditions may prove to be illegal or unenforceable, the remaining provisions of the Agreement shall continue in full force and effect.